Here, you can find all the outside lines and extensions you can use. By clicking on their pictures, you will find more details on their installation and settings. From all the outside lines and extensions, you can connect one to another in any way you see fit by providing a proper dial plan. You can find the connections ordered as they are in Ozeki Phone System XE, at the Outside lines and Extensions chapter. Ozeki Phone System XE makes it possible to connect your smartphone to your PBX. For this purpose, you only need to install a SIP client on your phone and setup a SIP account. The articles below are intended to be detailed step-by-step guides in order to facilitate the installation and configuration processes. iPhone Mobile: turn your Apple mobile device into a professional mobile extension. Android Mobile: make your Android-based smartphone a portable mobile extension. Windows Phone 8: this kind of smartphones can be also used with Ozeki Phone System XE with a SIP application. Ozeki Phone System XE allows you to connect both conventional analog phones and IP telephones to your communication system. Due to its high versatility, Ozeki Phone System XE also enables you to integrate desktop phones connecting to another PBX by using an ATA device. 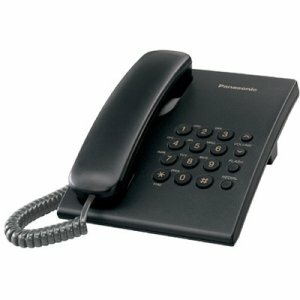 Desktop VoIP Phone: you only need to complete the proper configurations that are described in this article step-by-step. Desktop Analog Phone: by using an ATA device, connecting a conventional analog phone to your telecommunication system can be carried out in minutes. Softphone: one of the greatest advantages of Ozeki Phone System XE is the opportunity to use your softphone as a full-featured extension of your PBX. Ozeki Phone System XE allows you to connect your VoIP telephone system to the Public Switched Telephone Network (PSTN) in various ways. You can connect your PBX to VoIP service, analog telephone lines and ISDN phoneline, and you can connect your system to the mobile network with the Ozeki Phone System XE. VoIP Telephone Networks: you can make calls to and receive from landline, mobil, or even analog networks through a VoIP provider on the Internet. 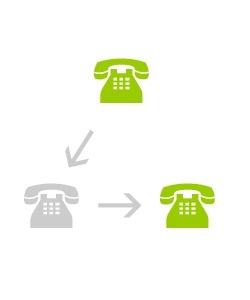 Analog Phone Lines: with an ATA device, you can easily connect an analog (PSTN) line to the PBX. 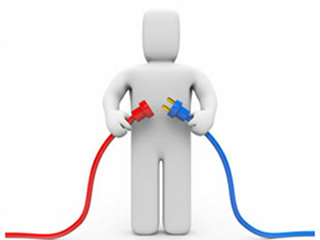 ISDN Phone Lines: you can connect and communicate through your ISDN BRI/E1/T1/J1 services. 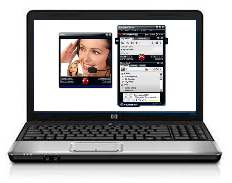 GSM Network Connection: GSM network connection enables incoming and outgoing VoIP and GSM cellular calls. Ozeki Phone System XE outstandingly makes it possible to send and receive SMS messages besides VoIP calls and services. The two most common ways to send out a large amount of SMS messages are using a GSM modem or using an SMPP server, even through your Android Mobile. SMPP IP SMS connection: for higher performance you may also connect your PBX directly to the Short Message Service Center (SMSC) of a mobile network operator through the Internet. SMPP Connection, using GSM modem: you can send and receive SMS messages through a wireless connection by attaching a GSM phone or GSM modem to your PBX computer with a data cable. Android mobile as an SMPP server: turn your smartphone into an SMPP server using Android SMPP SMS Gateway mobile application. SMS Modem: this option allows you to use a mobile phone or wireless modem, connected to the PC with a phone-to-PC data cable to send and receive SMS messages. SMS Extension: after connecting SMPP SMS to Ozeki Phone System XE, you can send and receive SMS messages, handle SMS submission reports and SMS delivery reports. The best way for your customers to reach you is using your corporate website. 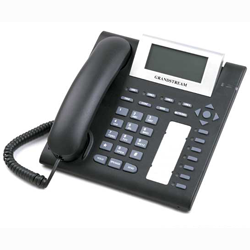 You can place a webphone on your website with the help of a webphone outside line. This way your customers can call you. There is also a webphone extension with which you can enable your employees to call each other within the network of the company by placing the webphone to a website they can access. Ozeki Phone System XE provides a wide range of call managing options for making your communication system more flexible and reliable by providing the most preferred call managing solutions, such as; call queue, ring group or conference room and you can study step-by-step how to install them in Ozeki Phone System XE. Call queue: call queue is a group of extensions (agents) which can be called, and if all the agents are busy, the call is added to a queue until an agent will be free. Ring group: ring group is a group of extensions which can be called at once with different calling strategies by calling a single number. Conference Room: conference room is an extension which can be called by several extensions and connect to them. IVR Extension: the Interactive Voice Response can be used to control incoming calls, with the help of our own XML language, OzML (Ozeki XML). The caller can navigate through the previously defined menus. Ozeki Phone System XE has different VoIP features which allow you to route and record calls, it also provides a voicemail service, you can design your Dial Plan, change your preferences etc. APIs: you can develop your own APIs for Ozeki Phone System XE by using your preferred programming languages. You might need to be familiar with the choosen language's basics, but u can also find examples, documentations and much more. Email provider: you can set your SMTP server settings to get notifications via email about missed calls, password reminders and about other useful informations. Call routing: Ozeki Phone System XE makes it possible to connect several types of devices to it, and provides several type of dial plans, which can handle the Call routing for those devices. 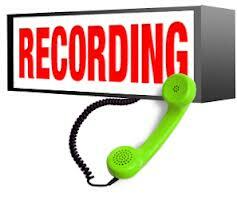 Call recording: you can record the phone conversations, begin the recording with a notification to play into the call when it begins, and you can even send the recordings to e-mails or an FTP server. Voicemail: voicemail is an extension which can be called when users want to listen the messages they received while they were busy. Security: Ozeki Phone System XE has several tools to protect the PBX from malicious intents. You can use the IP Blacklist and the Anti-Hacking feature for the purpose to do not let particular IP addresses to access to the PBX. Echo / sound test: echo/sound test is an extension which can be called when other extensions want to check their phone line. Dialer Extension: with the help of OzML, you can set up automated call campaigns by using pre-recorded resources (text-to-speech, sound files) or by routing the created calls to live agents.